What makes a proper English gentleman with a highly successful corporate career hang up his suit and tie for the life of a sailor? For Graham Raspass, Director of Flagstaff Marine, the answer is the magnificent Sydney Harbour. It was seeing our stunning waterways that made Graham realise it was time to get serious about his lifelong passion for sailing. With his characteristic tenacity and drive, it wasn’t long before Graham turned his hobby into the flourishing business that is now Flagstaff Marine. The first thing you realise when you meet Graham is his great ability to get stuff done. So it comes as no surprise that he names Sir Frances Chichester, the first person to sail around the world using the Clipper route, as his hero. Graham’s passion for sailing is met by his drive to succeed and an unceasing desire to keep learning and experiencing the water. These traits explain how he turned his love of sailing into a full-time career. 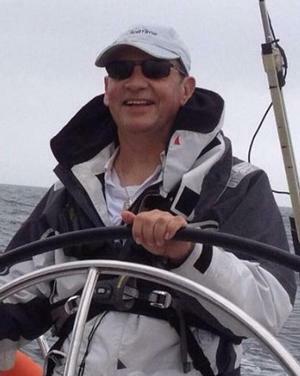 It didn’t take long before Graham was fluent in the language of sailing and stepped up to off-shore racing. He’s competed in a list of events as long as your arm, including multiple Hamilton Island Race Weeks, and Coffs Harbour and Lord Howe Island races. 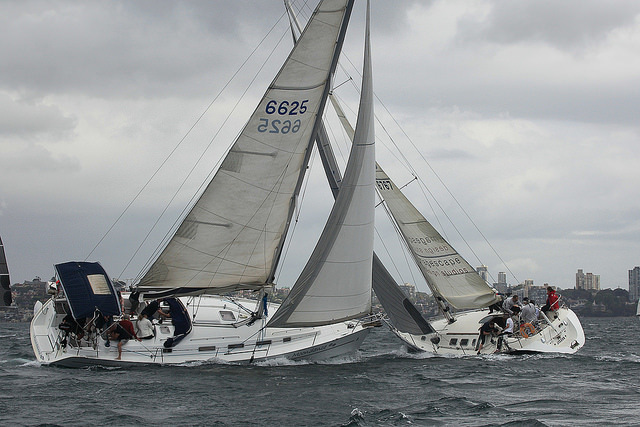 Then of course there’s the ultimate event for any sailor – the Sydney to Hobart Yacht Race – he ticked that one off the bucket list in 2013. Despite his impressive racing credits, Graham is modest about his abilities. “I consider myself an average sailor … but I was eager to learn and I was fortunate to meet highly accomplished and successful sailors along the way. They got me involved and let me make mistakes and there were plenty of those – there still are!” he laughs. 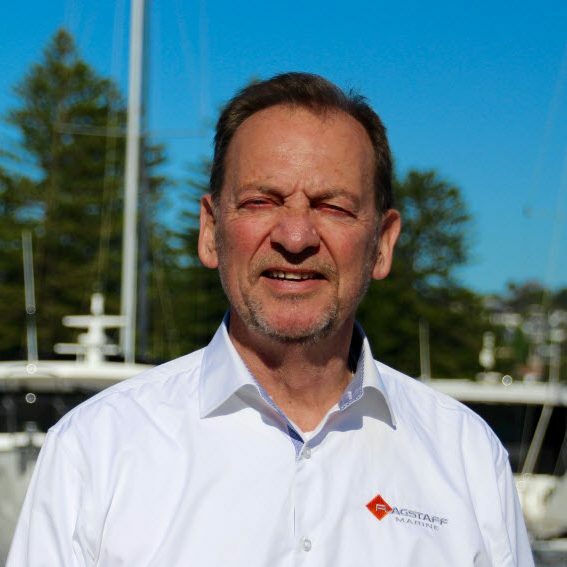 Certainly, it’s Graham’s drive and dedication that have enabled him to transition from novice sailor to the director of Flagstaff Marine – the exclusive Australian importer of the iconic boating brand, Beneteau. For Graham, the association with Beneteau is one that stretches back to his early experiences on the water. 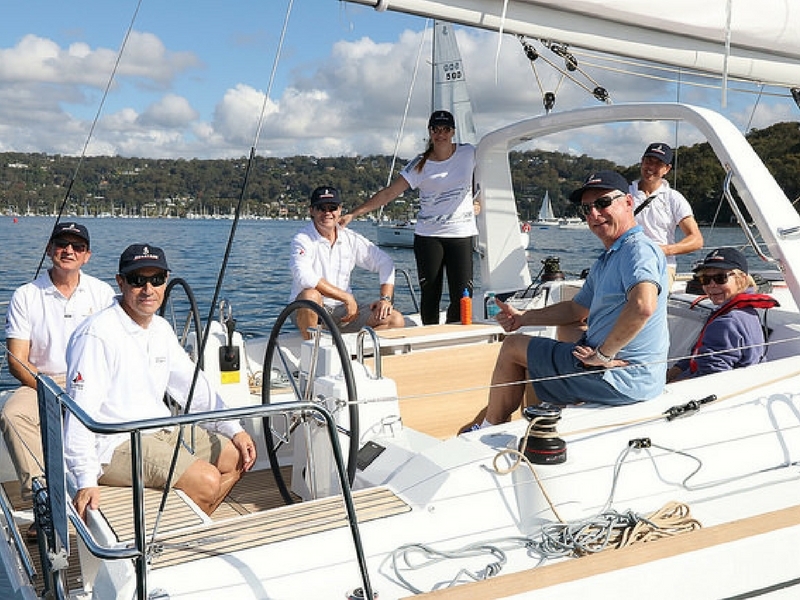 “As the owner of three Beneteau yachts, I have experienced first-hand what brilliantly designed, well built and high performance boats they are to sail,” says Graham. It was this positive experience that led Graham to make Beneteau the boat of choice for SailTime, the shared economy business he founded in 2009, allowing sailors a membership alternative to ownership syndicates. Like all good sailors, Graham knows how and when to take a calculated risk. In 2014 the golden opportunity to become Beneteau’s exclusive distributor presented itself and Graham didn’t hesitate to act. “I ended up liking the brand so much … I bought the company with distribution rights in Australia,” he quips. Graham has always made giving back part of his business and personal life. “I am very aware that we are incredibly fortunate to be in the industry we’re in and we always try to find ways to give back to the community,” says Graham. Before Flagstaff became a full-time commitment, Graham volunteered for Royal Volunteer Coastal Patrol operating out of Broken Bay. 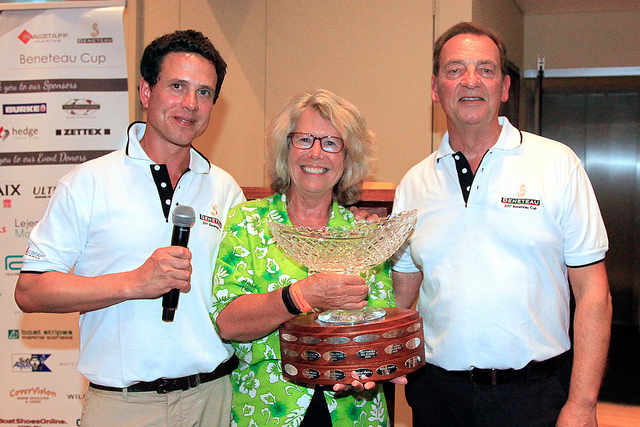 Flagstaff hosts the annual Beneteau Cup Regatta where the proceeds of the silent auction go to Mercy Ships – the charity that runs mobile hospital ships around Africa. Graham and his team also actively support Sailors with disABILITES, providing boats and crews and helping to promote their regattas. Graham’s face lights up when he talks about being out on the water. For him every moment is special. Right now his focus is on Flagstaff and developing his relationship with the Beneteau owners. The water may be the reason Graham swapped his suit and tie for a polo shirt and cap. But it’s the opportunity to do what he loves each and every day, with people who share his passion, that keeps him messing about with boats. With Flagstaff Marine, Graham has created a business that is a real time reflection of his passion and tenacity as a sailor.